A great small tin of paints when out and about. This pocket-sized tin is perfect is ideal for painting on location and fits easily into the pocket. 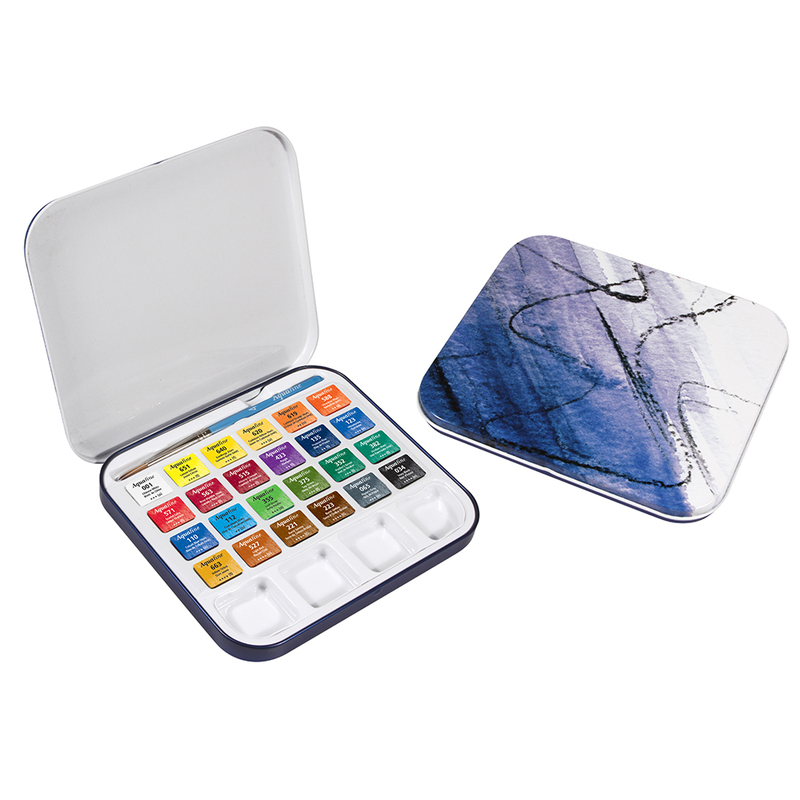 This travel tin box contains 24 Daler Rowney Aquafine Half Pans with the following colours: Chinese White, Lemon Yellow, ,Gamboge (Hue), Cadmium Yellow (Hue), Cadmium Orange (Hue), Vermilion (Hue), Scarlet Lake, Rose Madder (Hue), Alizarin Crimson, Purple, Prussian Blue, Ultramarine, Colbalt Blue (Hue), Coeruleum (Hue), Leaf Green, Sap Green, Hookers Green, Viridian (Hue), Yellow Ochre, Light Red, Burnt Sienna, Burnt Umber, Paynes Grey, Ivory Black.